This is our detailed list of our diversity champions profiles that outline their law path and their involvements in their respective communities. Click "Read More" for more information on our diversity champions. Hussein A. Hamdani was born in Kampala, Uganda. He and his family came to Canada as refugees, and settled in the Niagara Region. When Hussein migrated to Canada with his parents and extended family, they had nothing more than their collective hopes and aspirations; dreams of a bright future and a place to call home. Today, Hussein is a valued and respected partner of a Hamilton/Burlington based firm, SimpsonWigle LAW LLP. He is engaged in general corporate, commercial practice that includes commercial and residential real estate law. 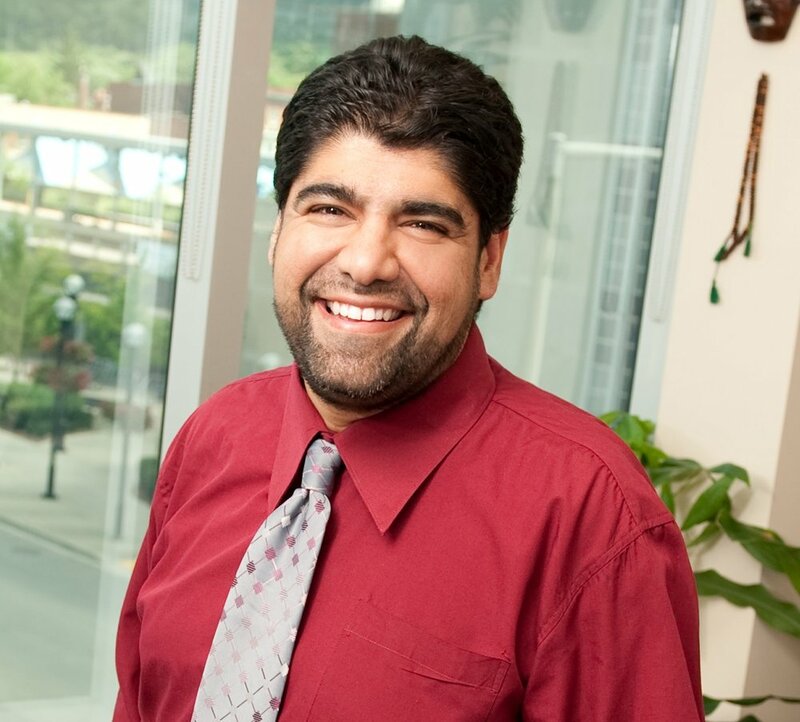 Hussein is very active in the community and sits on or recently sat on several local, provincial and national boards of directors and executive committees. At the national level, until recently, he served on the Government of Canada Roundtable on Security. This volunteer position allowed Hussein to advise the Minister of Public Safety and Minister of Justice on national security matters. Hussein has received national and international attention for his volunteer and pro bono work with youth that have strayed towards violent radicalization. Locally, he is a member of the Board of Trustees for the Hamilton Law Association, one of the largest law associations in the country. He also the Chair of the Corporate/Commercial Law committee at the Hamilton Law Association. Hussein is also Vice Chair of the North American Spiritual Revival (NASR) and organization dedicated to youth engagement and civic participation. Hussein has received a number of accolades and awards for his pro bono and volunteer work including the 40 under 40 Business Award. In October 2015, Hussein was named by Urbanicity Magazine’s as of one of the 30 Most Influential People in the City of Hamilton. Hussein was the only lawyer in private practice to be named by the magazine as a change agent. In March, 2016, Hussein won the prestigious Muslim Award of Excellence Platinum award for professional accomplishment and community service. Also in 2016, Hussein was awarded the 2016 South Asian Bar Association Platinum Award. The highest award offered by that organization.